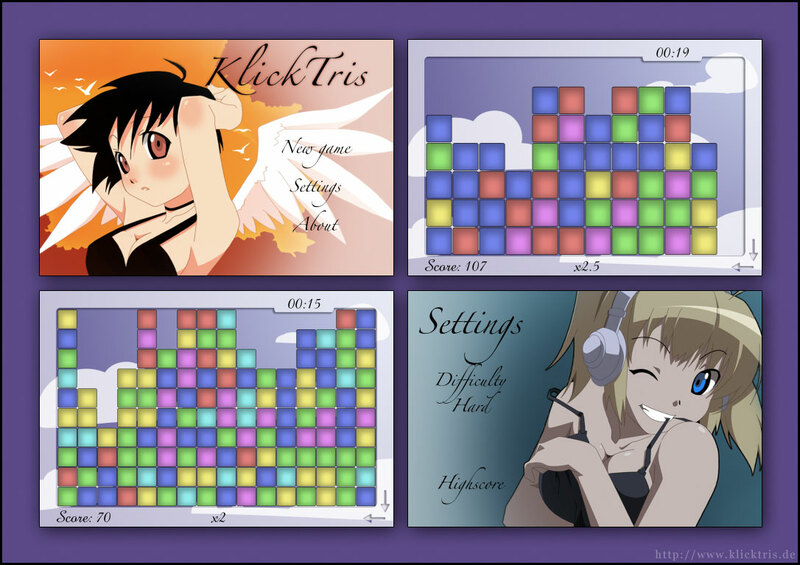 Klicktris is a game of combination - it requires logic and clever thinking. The playboard is made of colored blocks, the goal is to remove them. Blocks that share at least one border with another block of matching color can be removed by double tapping. If done correctly, clearing all blocks is possible. Sometimes you can create new possibilities by rotating your device as the blocks will always move towards the bottom of your screen. The GameCenter is supported. If you can't or don't want to use the GameCenter, an online highscore is available as well. High resolution graphics are included for use with iPhone 4 and iPad. Klicktris is also available for MacOSX, Windows and Linux - for free!